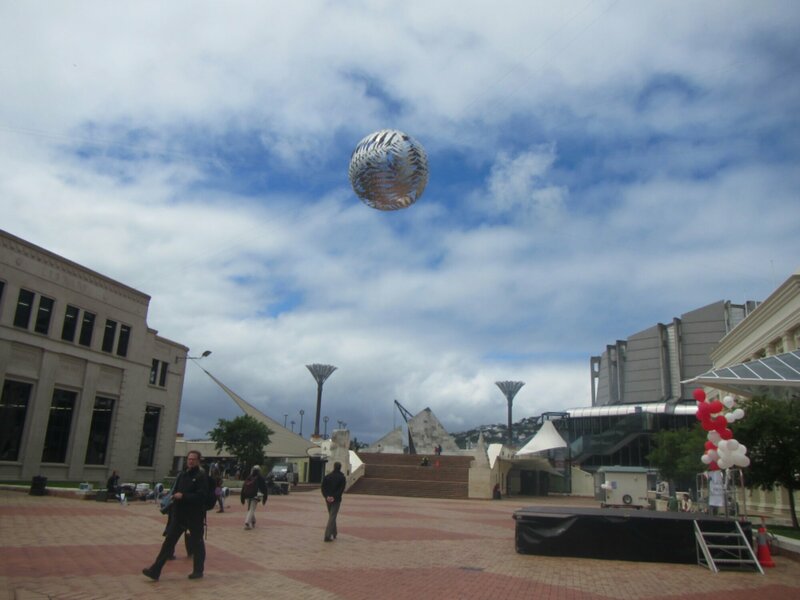 Well, so, umm Wellington. 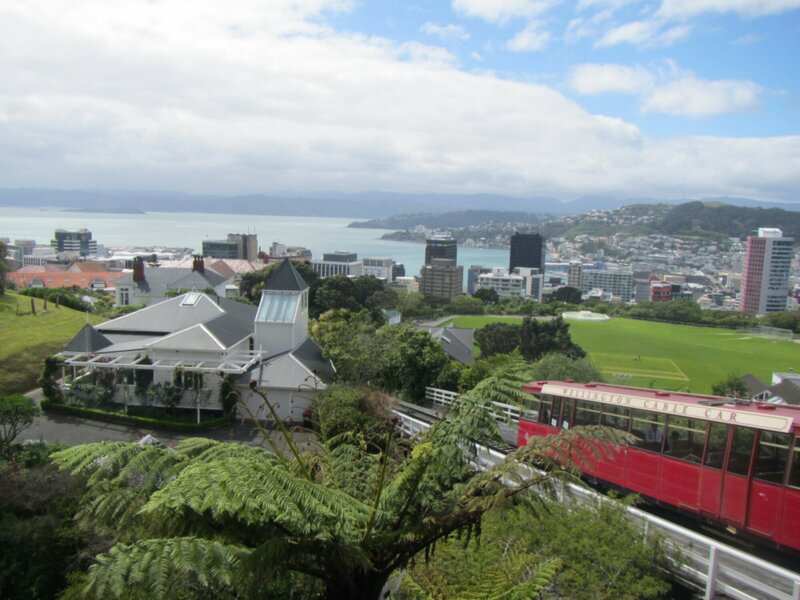 Its a cool city with nice harbor views, it it isn’t what you come to NZ for. I’m just here to catch a flight to Christchurch then a transalpine train to Greymouth then a bus to the Glaciers. 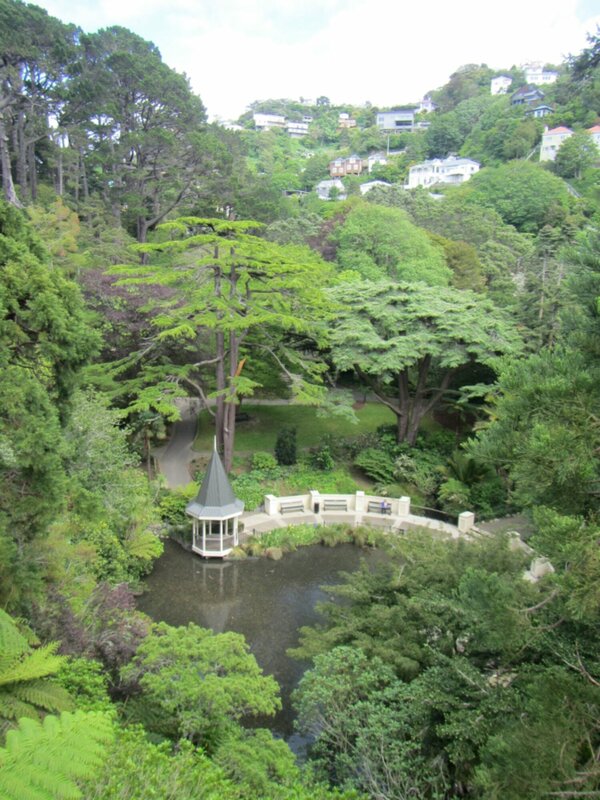 Anyways, took the cable car up to the botanic gardens. 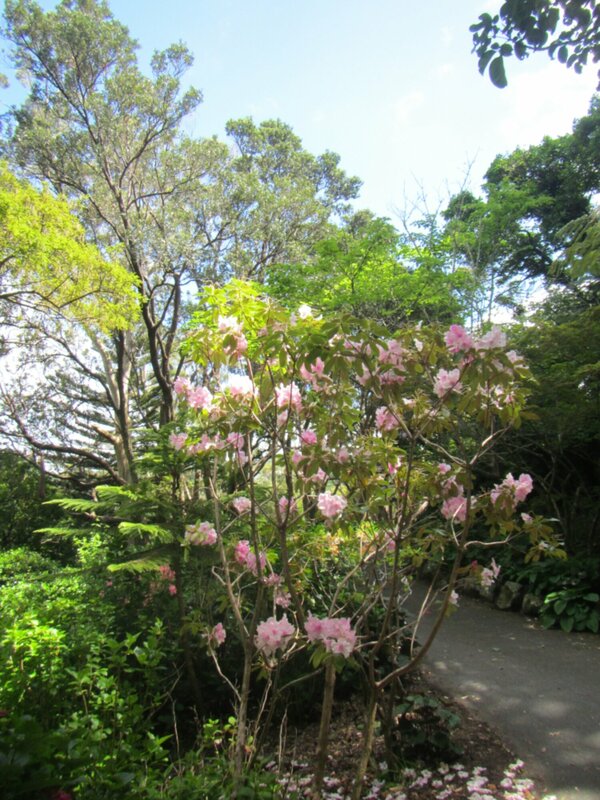 Very touristy, but the walk around the gardens was nice. 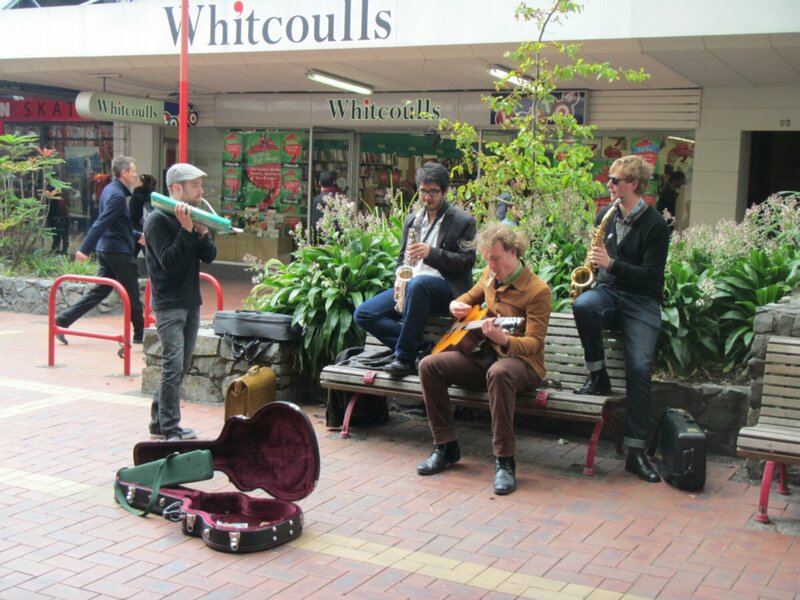 On the way to the Te Papa museum, I stopped off at Cuba street for window shopping and there was a band playing on the street. Check out the guy on the left. He’s playing a keyboard he blows in. 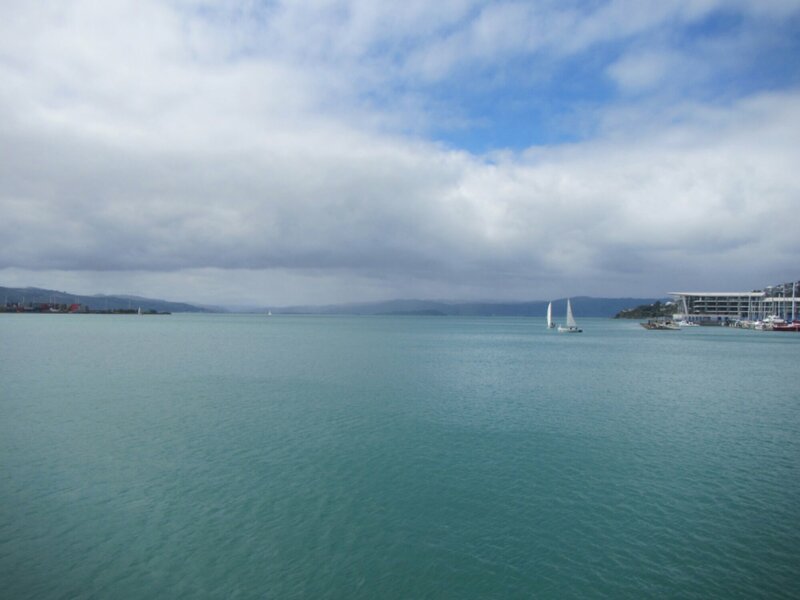 I then walked the waterfront of the Lambton Harbour to the museum. The Te Papa museum is impressive and highly interactive. My favorite thing was the giant colossal squid on display. 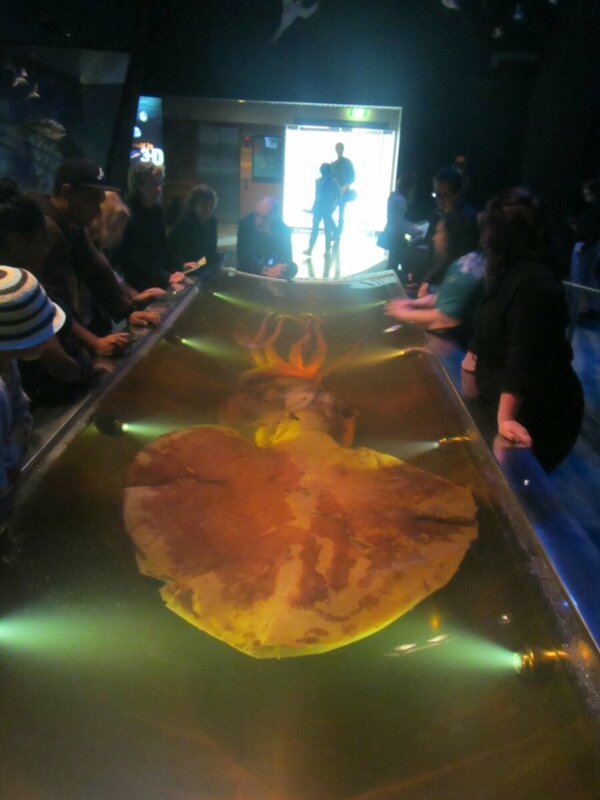 It is the only colossal squid on display anywhere. It was caught in the Antarctic by a deep sea fishing vessel. The squid was attached to its prey which happened to get hooked. Right now I’m at the airport and off to Christchurch. 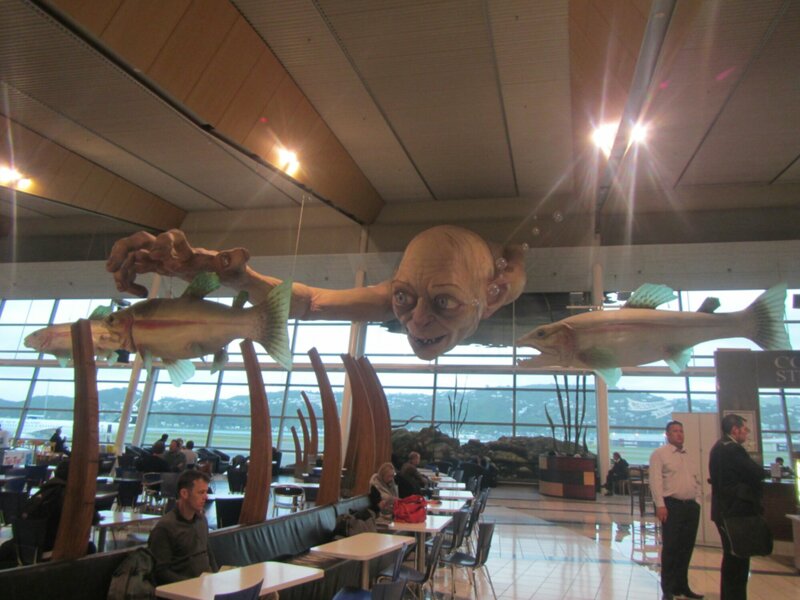 There’s a big Smegal from the Lord of the Rings on display.